Embattled UK prime minister Theresa May Wednesday faced MPs' questions amid anger in some quarters over her Brexit climbdown. You can watch the whole PMQs session in the above video player. 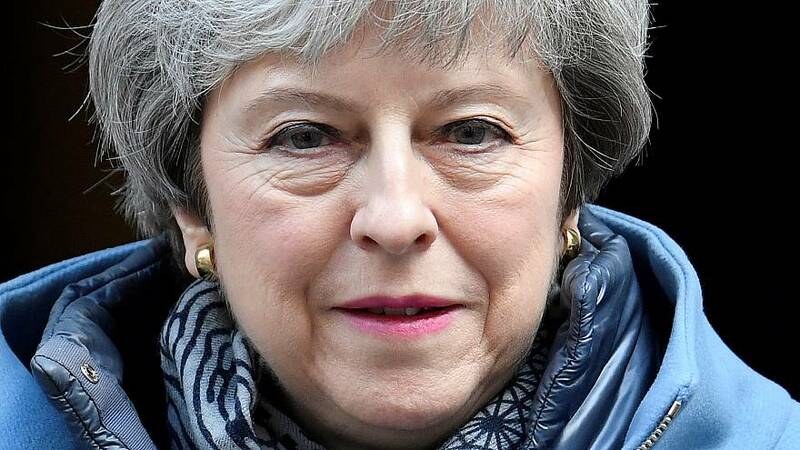 After a marathon meeting with her senior ministers on Tuesday, May emerged to announce she would ask the European Union for another Brexit delay. She also offered to sit down with opposition leader Jeremy Corbyn in a bid to break the deadlock in getting the deal approved by parliament. In his opening comments at PMQs, Corbyn said he welcomed the Prime Minister's offer of talks and said he was glad she was willing to compromise to achieve a deal. He went on to ask why poverty has risen under May’s administration to which May replied that no one wants to see poverty go up but the only way to stop this was through strong employment, welfare, and by ensuring fair pay for work. Scottish National Party MP Ian Blackford once again called for a people's vote on Brexit. He went on to ask why May had not invited the Scottish and Welsh governments to meet with her. I'm actually meeting the first member of Scotland later today," she replied, adding the first minister of Wales would also have an audience with her in London during the afternoon. May said she was happy to speak to MPs but that Blackford has a policy of revoking article 50, whereas Corbyn shares her desire to reach a deal to leave the bloc. Tory MP Lee Rowley asked the prime minister what qualifies Corbyn for involvement in Brexit. "Every member of this house is involved in Brexit," she said. "We need to get an agreement through this house. May added she believes what the public wants is for her to "work across this house to find a solution". The SNP’s Stewart Hosie said that after two years of deadlock and a seven-hour cabinet meeting all May could do was invite Corbyn to become co-owner of her failure, adding that it looked like a trap. Democratic Unionist Party MP Jim Shannon asked the prime minister which of the opposition leader's policies she could accept during their talks; she replied they both agreed the Withdrawal Agreement should be part of any deal and shared a desire to protect workers' rights. Nick Boles, who resigned as Tory whip, asked May for assurance that she will enter talks with Corbyn without the red lines that have plagued the process so far. The prime minister replied that she wants to find a resolution to the issue. Referring to a report in The Telegraph paper, which claimed 14 members of the cabinet backed a no-deal Brexit, Tory Brexiter Sir Christopher Chope said he agreed with these members. May said he shouldn't believe everything he reads in the papers, adding the cabinet yesterday decided to back her approach. Nicky Morgan, Conservative MP for Loughborough, opened her comments by saying there was "more to life than Brexit". She congratulated the 127 British athletes who competed at the Abu Dhabi 2019 Special Olympics and asked if May would consider hosting the games in the UK. May said she would look carefully at the suggestion. May's climbdown sparked criticism from Brexiters like Boris Johnson and Jacob Rees-Mogg, angry at Corbyn's involvement. Corbyn repeated his Labour party aimed to keep a customs union with the EU, access for Britain to its single market, and protections for workers.